Hins Cheung is a C-pop singer and songwriter in Hong Kong and Guandong, China. Standing 175 cm tall, Hins Cheung currently has a recording contract with Universal Records. And good news for his fans – he’ll become a permanent HK resident by 2011. Chen Ming is a Chinese pop singerÂ who began her career in Guangzhou back in 1990. She has released 13 albums including remixes. Her song entitled Loneliness Makes Me Beautiful made her well-known and was even praised as one of the best songs in China. Buren Bayaer is a singer, composer, and a DJ or disc jockey in China. He is also of Mongolian-Chinese descent and was born in 1960. 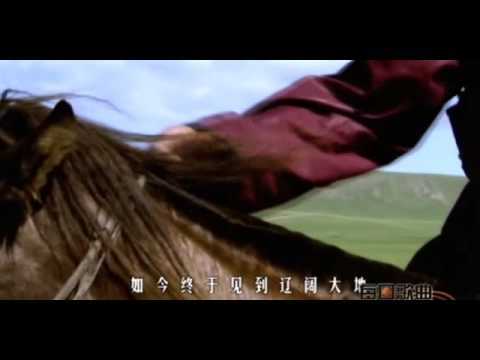 The video below entitled Father’s Prairie, Mother’s River is adopted from the poem bearing the same title written by the renowned contemporary Mongolian Chinese writer/poet Xi Murong. An Youqi is a singer from Harbin, China where she was born in 1982. She won the first season of Super Girl in 2004, a national singing contest. After winning Super Girl, she signed a recording contract and released an album which recorded sales of over one million copies. You are currently browsing the Chinese Music weblog archives for April, 2008.